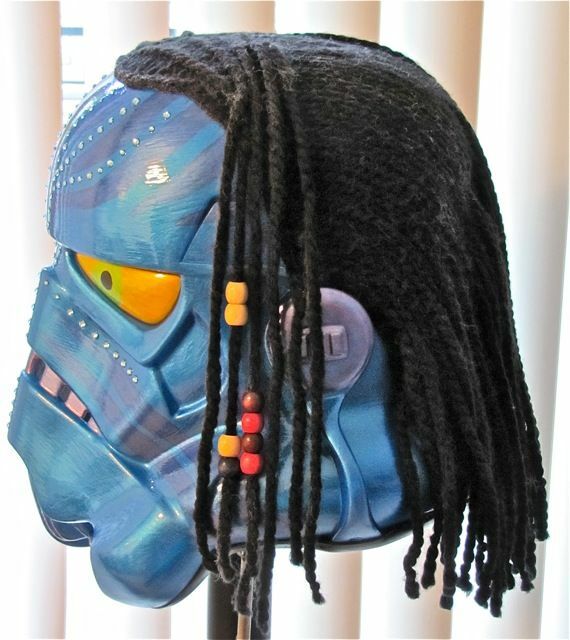 You are readingAvatar Stormtrooper Helmet Strikes Back! 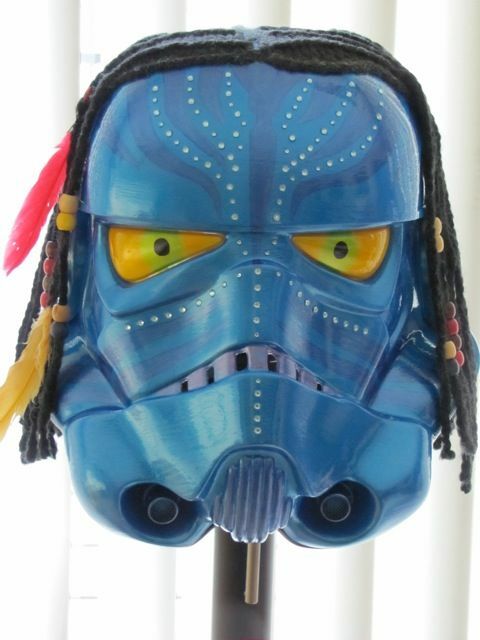 Avatar Stormtrooper Helmet Strikes Back! Star Wars has always been one of the most popular Movie sagas ever, and while Avatar is much newer, it has joined the popularity and received tremendous positive feedback. It is no surprise then to see the two world being combined by creating an Avatar themed Stormtrooper Helmet which would seem cool to some and blasphemous to others. Created by Denise Vasquez for 501st TK Project who also created the beautiful Brass Stormtrooper Helmet, this project really brings two Giant movie characters within one amazing looking helmet. The Na’vi may not be wearing any armor to shield their looks, but it doesn’t mean that the Star Wars helmet cannot be created to look like the Pandora creatures that have captured our hearts. I am certain that more than a few Star Wars geeks would look at such a creation with Hate, repulsion and anger, but we must maintain that it is only an artistic project. It was not created to be a mass marketed for LucasFilm to make even more money off of the Star Wars franchise. Still, one can’t help but wonder if such a Stormtrooper design does reach the correct individuals, will dollar signs flash and a new franchise may be conceptualized. Well, no matter how much we will try, or as cool as some will consider this helmet, more will see it is utter Blasphemy to the Star Wars films. 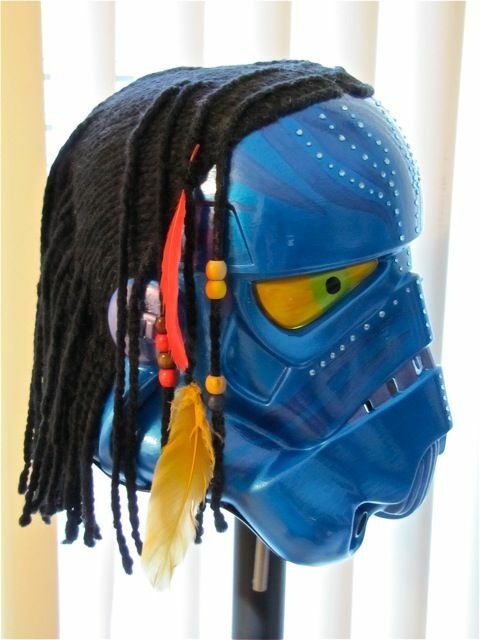 Just remember, it could be worse: combining Jar Jar Binks with a Stormtrooper or the Na’vi. If you are a Star Wars geek, then take a look at all the other amazing Star Wars posts we seen before, and if you prefer Avatar, then have a look at the Avatar mentions which include Daggers, the Na’vi language and more. Pingback: Algo va mal. Na’vi-trooper. « Que pasaaaa! !